Breweries across the United States have started to feel the effects of the government shutdown. Those who love beer can still purchase their favorite brews from stores and breweries, however, the shutdown is affecting new products coming to markets. 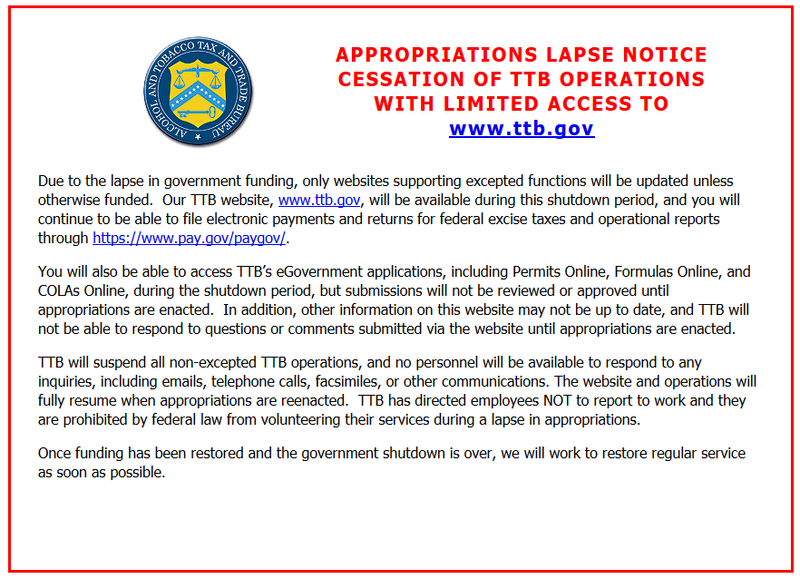 The Tobacco and Alcohol Trade Tax Bureau is closed due to the government shutdown. This means people who want to open breweries can't, and those breweries that are already serving up beers can't release new beers outside of their brewery. Paul Morup with Uberbrew explained, "Any product that you manufacture that has to cross state lines needs COLA approval. So, all of our cans, all of our keg labels need to be certified by COLA." COLA stands for Certificate of Label Approval. With TTB being shutdown, breweries like Uberbrew can't get approval for new beers. "With the new spring sets for Albertsons and TownPumps and all of that, we are in the middle of trying to unleash a new IPA in a can and without the COLA approval, we can't order the cans, and we have to order over 200,000 cans at once and if this gets pushed back too far, we don't get COLA approval, we can't order the cans, and we miss that spring reset." Uberbrew has a few projects in mind but cannot get them off the ground yet because the owners need licenses. That also goes for other people trying to open a brewery. "Not only does it affect new product labeling, but it also affects people who are trying to open a new facility. You need licensure from the TTB to open your location." Craft beers are affected more than the big boys such as Anheuser-Busch according to Morup. "Craft is known to be agile in the market and we bring new products to market quickly. You notice how often our beers change here in just the taproom alone. So, in order to bring a new product to market it has to be approved by COLA and we just can't do that."